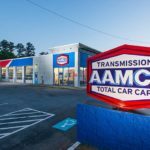 AAMCO has been the worldwide leader in transmission repair for more than 50 years, though today’s cars are far more difficult to fix than those of half a century ago. While technology has helped make cars more comfortable and safer to drive, it also has made car repair much more complex. It now requires a level of sophistication that few brands are capable of achieving. The rush to meet the demand in repairing modern vehicles is creating a crisis in the industry. This crisis was excellently documented in the New York Times article “Shortage of Auto Mechanics has Dealerships Taking Action,” which outlines how hard it is to find technicians who are as confident with the advanced technology in modern cars as they are with traditional car repair. 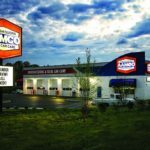 To ensure that AAMCO franchisees and their crews can capitalize on the growing demand for complicated auto repair, the brand established a state-of-the-art training facility, AAMCO University, in 2014. Franchise owners have access to more than 300 courses with expert instructors, ranging from basic shop safety to master-level diagnostics and transmission rebuilding. These modules are offered in classroom, online and in interactive settings. The training extends to employees, as well, helping with recruitment of the most-talented technicians. 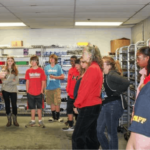 They also have access to courses that will help advance their skill sets and careers.